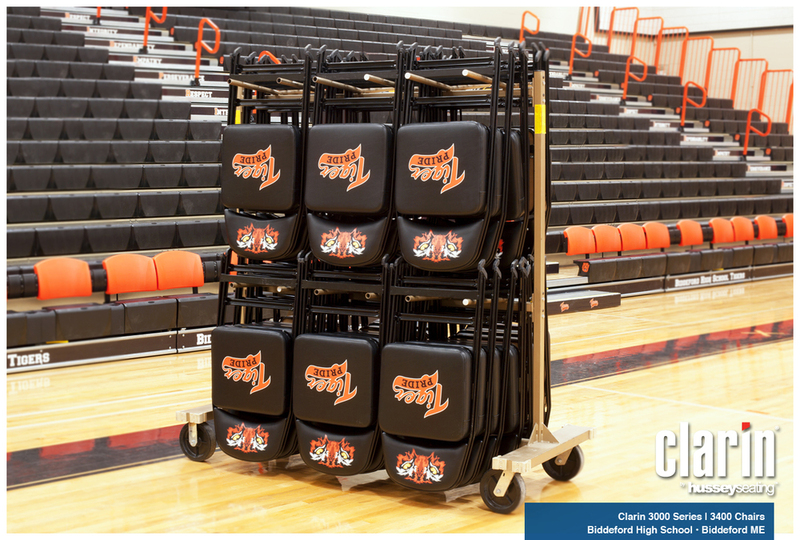 Clarin by Hussey Seating offers a wide selection storage carts to organize, store and ease the setup of portable seating in your facility. 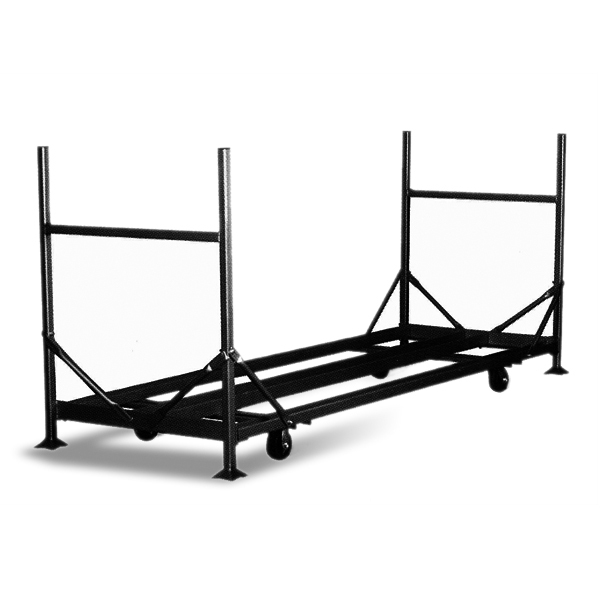 Available in two sizes, one for standard Clarin chairs and one for Premium Series Club or VIP models, our stacking carts are designed for arenas and facilities with ample storage, high ceilings and fork lifts. Stack up to three high. Note that stacking carts require a starting block. Available in seven sizes to accommodate most facilities and Clarin chair models, our hanging storage carts are great for lower chair quantities. Available in four sizes, the flat stack carts work well in facilities that want to store chairs under a stage. Available in four sizes, studio carts work well for storing chairs in long, upright rows.